Finca Tobella was established in 2003 with the purchase of four hectares of vineyard property in an area next to Gratallops called Les Aubagues. Over time, other parcels were purchased immediately adjacent to the original until reaching the 20 hectares now currently being farmed. 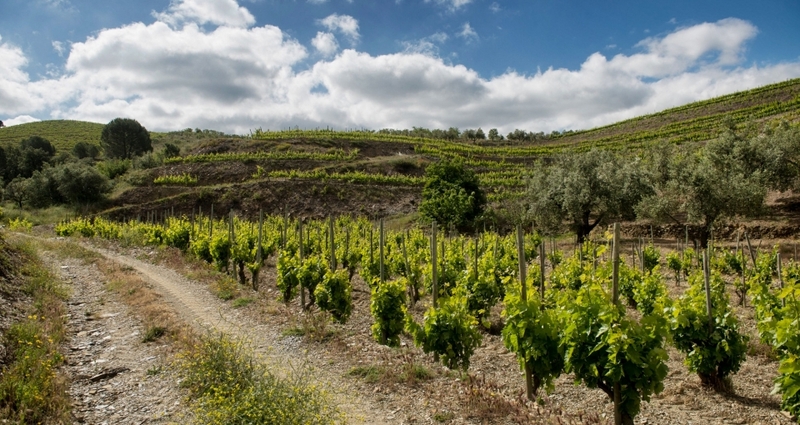 The vineyard has parcels of very old vines, nearly century-old Carignan and Grenache and younger vines planted on terraces with different varieties, rootstocks and clones. The highest is located 350m above sea level with varying orientation with respect to the sun. All together, this has provided us with musts and wines with different “micro” characteristics. The wines we do at Finca Tobella are 100% of our estate grapes and the wine vinified in Gratallops. For us the foundation of a great wine are great grapes, so it follows that strict, family controlled vines will guarantee the best quality of our wines. 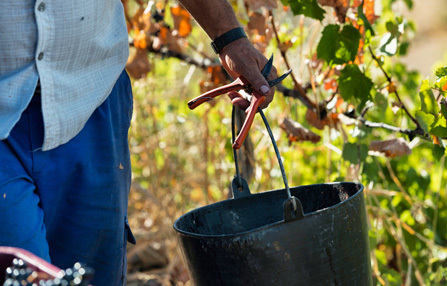 The terrain and the weather are what set the pace of work in the vineyards. The work is mostly manual except for tractor operations to treat the vines for disease prevention and plowing. Our philosophy is to use biological and ecological treatments for pest control. 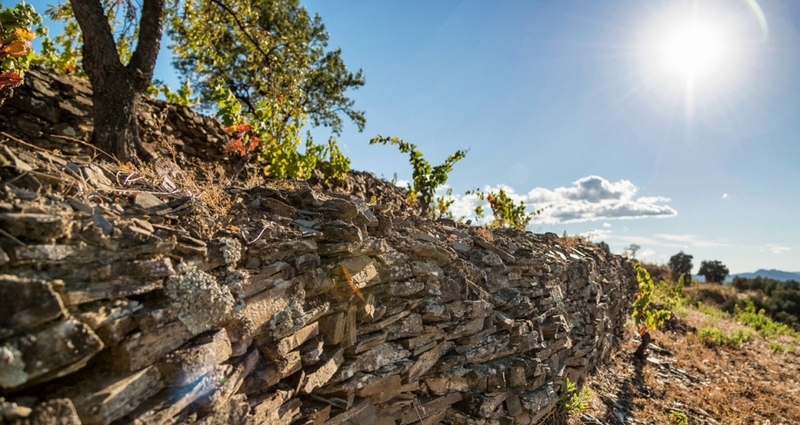 Vineyard work follows traditional local guidelines, drawing on the resources of the earth and applying a vision of the future and sustainability. 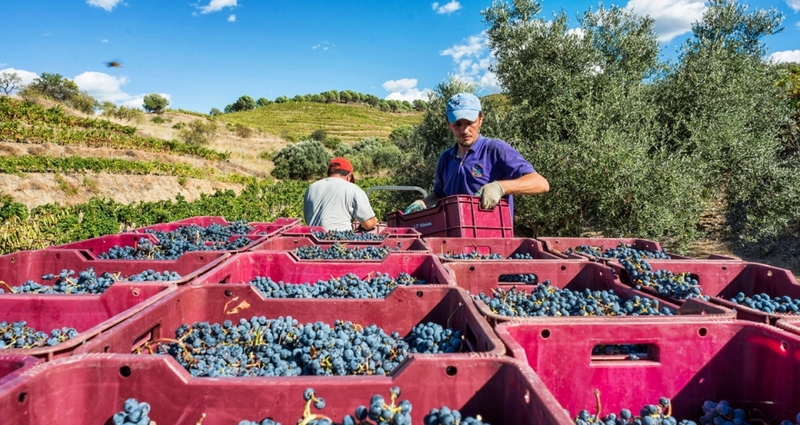 At harvest the grapes are hand picked and placed in boxes of 20kg. The boxes are then transported by tractor to the cellar. Our first acquisition in 2003 came with old vine Carignane and Grenache, over 80 years old. 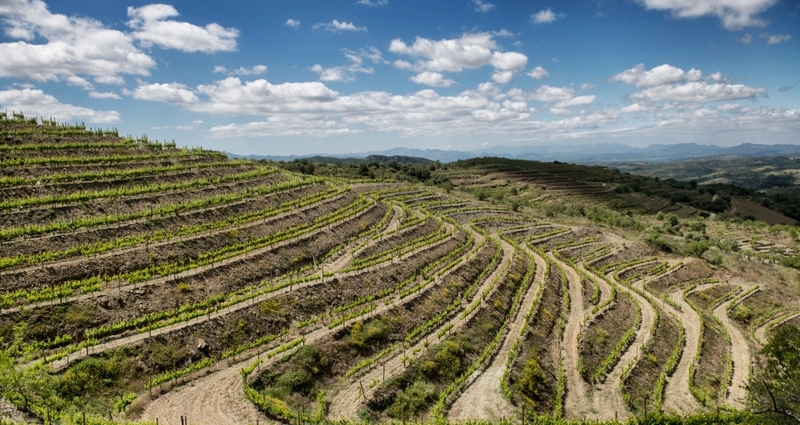 With subsequent vineyard acquisitions steep hillsides were terraced and conditioned to plant more varieties: Grenache, Carignan, Cabernet Sauvignon and Syrah and white varieties: White grenache and Viognier. Is the most cultivated Mediterranean variety in the world. 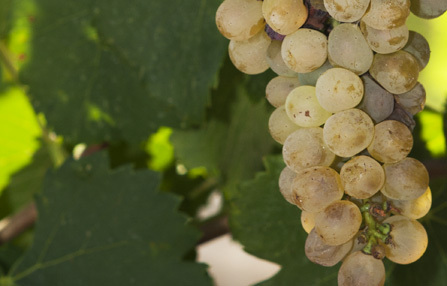 This variety is vigorous, drought resistant, sensitive to mildew and botrytis, with late bud break and ripening and is very sensitive to poor fruit set. Its clusters are of medium size, compact, black with thin skin and juicy pulp. It is a cluster that is well adapted to the terroir of Priorat and together with the Carignan is the basis of the great wines of the DOC. The wines have good alcohol, soft colors, and generally moderate acidity. 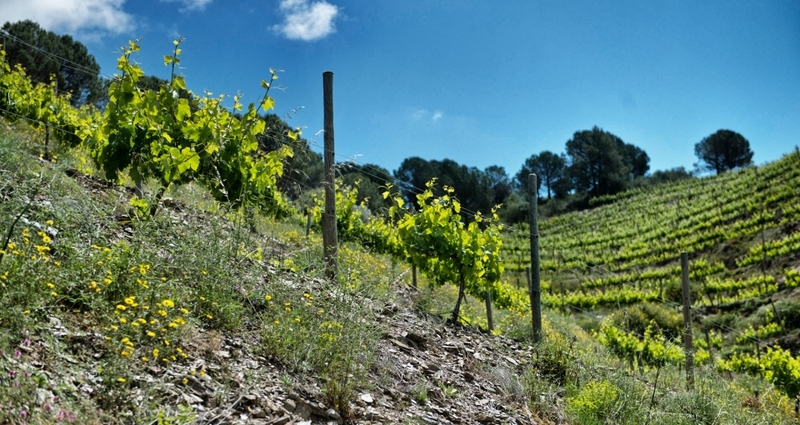 In the poor and unproductive soils of Priorat, this variety is expressed with extraordinary nobility. The wines are fleshy with spicy mineral notes and soft tannins. Its aromas are reminiscent of black and red fruits and jams. Is also a variety of Mediterranean cultivated since antiquity. The wines are aromatic, rich in alcohol and soft. It is a vigorous variety with late bud break and maturing and is well adapted to dry climates. It is also sensitive to mildew. Its clusters are of medium size, compact, conical, blue-black with thick skin and astringent. 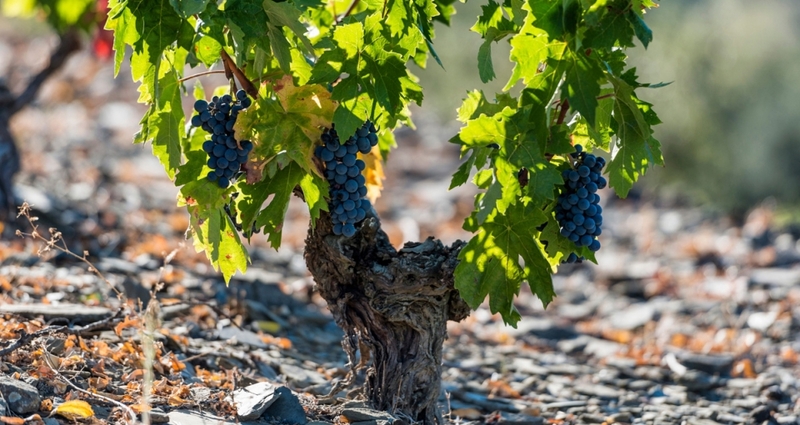 This variety produces very elegant and silky wine with good color, tannin structure and floral aromas of violet when it comes from old vines and terroir as the Priorat. 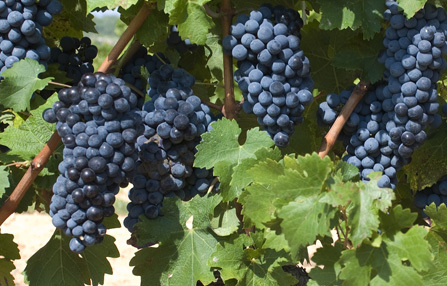 (Originally from Bordeaux, France) Is the grape variety most popular in the world. Due primarily to the adaptability of the strain and its high polyphenol content, it provides structure and aging potential to wines. It can be very vigorous vine, with late vegetative cycle and sensitive to powdery mildew. 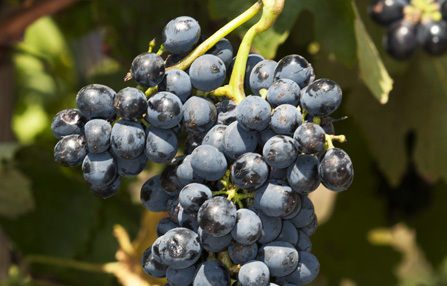 Its clusters are small and elongated and scattered small berries, with good black color and great concentration of tannins, the skin is thick and dense flesh. 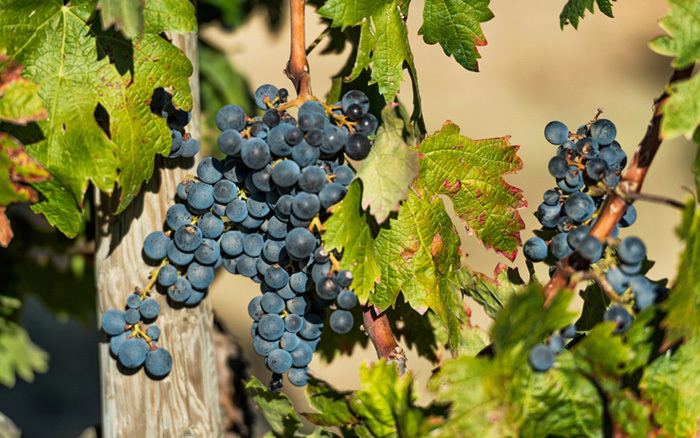 Cabernet Sauvignon wines that come from Priorat usually reach optimum maturity and are highlighted by a meaty tannin structure that enhances and improves the aging process. 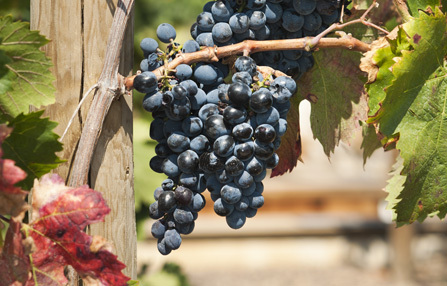 The wines also have a deep black color and ripe black fruit aromas. Originated from the middle east but traditionally has been planted in the French appelations of Rhone and Hermitage. This variety is sensitive to fruit set and botrytis. 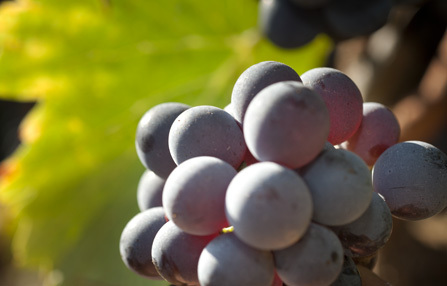 The grape is medium in size, compact, cylindrical, blue-black, with thin skin and juicy pulp. The wines have an intense color, aromas of bay leaf and spices and are characterized by their silky and soft tannins. Its adaptation to Priorat is excellent and gives silky wine with concentration and minerality and aromas of cassis and tapenade. Is a variety well adapted to warm climates and resistant to drought. Its origin is not clear, but it seems to be a mutation of the red variety. It has compact clusters of medium size, is greenish yellow with thick skin. 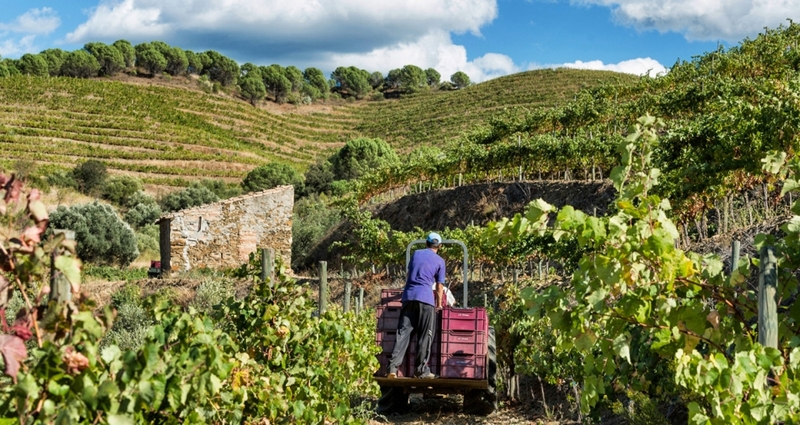 It’s bud break and maturation phases are considered average but in areas like the Priorat and Terra Alta it tends to be harvested early. It produces somewhat alcoholic wines, is low in acidity and has a high polyphenol content. The wines are fruity, soft and palatable. The primary aroma that defines white grenache is the peach. Originates from the Rhone (France). This variety is difficult to grow, sensitive to mildew, is low yielding and matures late. It should be harvested at optimum ripeness for maximum aromatic expression. The wines are floral with fruity notes of peach and apricot, and is soft with glycerol notes in the mouth. 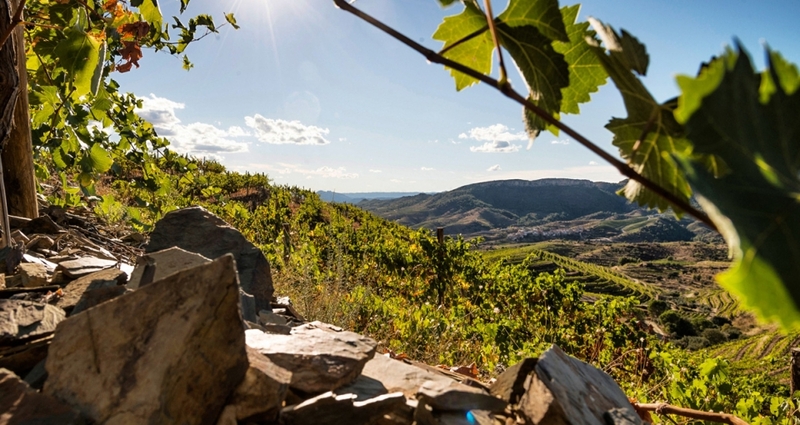 This variety has been included among the varieties authorized for wines produced in the Priorat DOQ recently and is usually blended with White Grenache providing aromatic intensity and freshness.